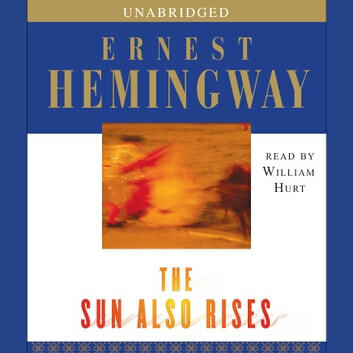 #bookeveryweek The Sun Also Rises by Ernest Hemingway. This was a re-read for me. I read it when I was undergraduate studying Spanish and newly obsessed with all things Spain, and taken with a romantic desire to live overseas and have literary adventures. So, back then, there was a lot I loved. Since then, Hemingway has mostly soured for me, with his toxic masculine stoic long-suffering schtick. I have to take him in small doses, so I can appreciate the art in his writing without choking on the philosophy too hard. But my classics book club took this one on, so I'm back to revisit it, twenty-some-odd years later. My favorite thing Hemingway ever published was "Hills Like White Elephants," a short story which is a tour de force of dialogue. It works, though, because of its brevity. That same technique of implication over statement and tone rather than interiority became annoying in this novel. Dialogue reads like a script with no viewpoint or judgment or thought about what anyone feels until there's suddenly a boiling point. A little drunkenness, harsh words, and violence, and we're back to witty repartee with nothing having changed for anyone. I found Jake, the protagonist of this novel hard to connect to because he stood at arm's length to everything. Even himself. His passivity in his own life was annoying. The closest he comes to growth is the last line of the book (Isn't it pretty to think so?) but even that feels like a momentary epiphany that will not make any difference in the man's life. I liked him best the couple of times he was alone in his room talking about how things were harder at night and let us see how hard he worked to suppress his pain. The novel doesn't have much plot, and is part travel-logue, part drunken banter, and part heartsick self pity. Moments in all of that are gorgeous. Lady Brett Ashley is a hot mess of a character, and much more interesting than anyone else in the book, but if I'm supposed to be cheering for Jake, what I'm yelling is, "Run for the hills! She'll eat you alive!" I guess that means I did connect with Jake more than I thought I did, because I hoped he'd find something better for him in the long run than hopeless attachment to someone who will only bring out his own worst aspects. Poor Robert Cohn became the demonstration of Hemingway's quite obvious anti-Semitism and it was a smack in the face each time those attitudes bubbled up to the top in the dialogue and attitudes. Cohn wasn't a Hemingway-type-man, and the plot needed him to be needy and difficult, but the implication over and over again was that Cohn was the way he was because he was Jewish and any Jewish man would have been the same. Lots of people give this a pass because of the times he lived and wrote in. I don't. Still an affecting and interesting portrait of a lifestyle and a time. But leaves me happy to know that I'll never have to spend any time with any of these people. #smileaday When a headache clears. I had a massive, debilitating headache last night, and woke with one still dogging me this morning. One of those deep in your skull pressure type, that make you feel like your head is an egg about to hatch something scaly with vicious teeth. So, I got a sub, came home from school, took the drugs that help, and slept for four hours. Now, I have a sore head, and this hairline fracture sort of feeling in a thin line. It's so much better I almost want to cry from relief. Sometimes happiness is just alleviated pain.